Summer 2017 brought two amazing interns Leah Singleton and Taegan Dennis both of whom are undergraduate students at the Florida State University (FSU). 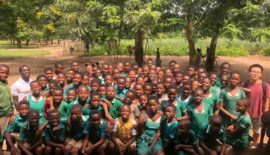 They served as project coordinators for Patriots Ghana’s Child labor and trafficking prevention project in three fishing communities in the Central region of Ghana (Senya, Fetteh, and Nyanyano). 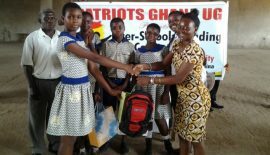 As part of their internship with Patriots Ghana, they conducted a study into the Implications of Family Planning on Child Labor. 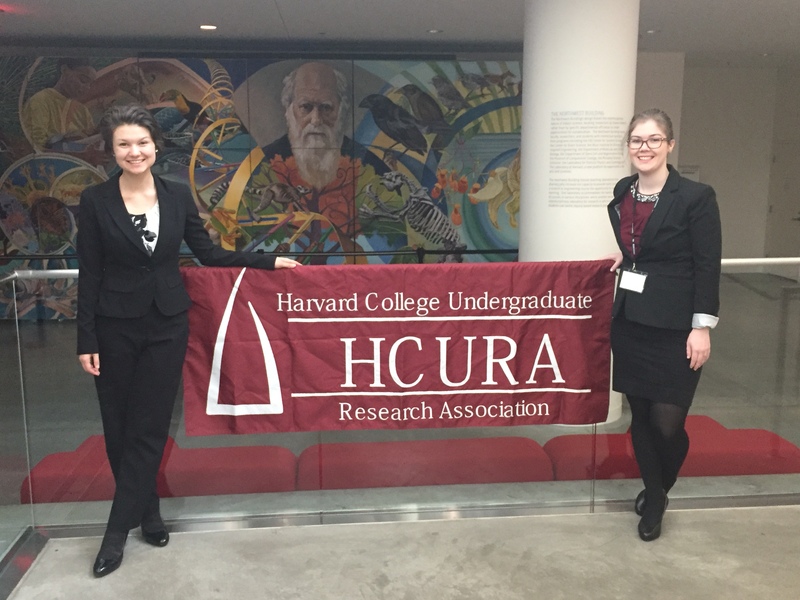 They presented their research at the National Collegiate Research Conference (NCRC) which was held on January 18th-20th at Harvard University. The NCRC aims to build an interdisciplinary research community among undergraduate students and promote undergraduate research. 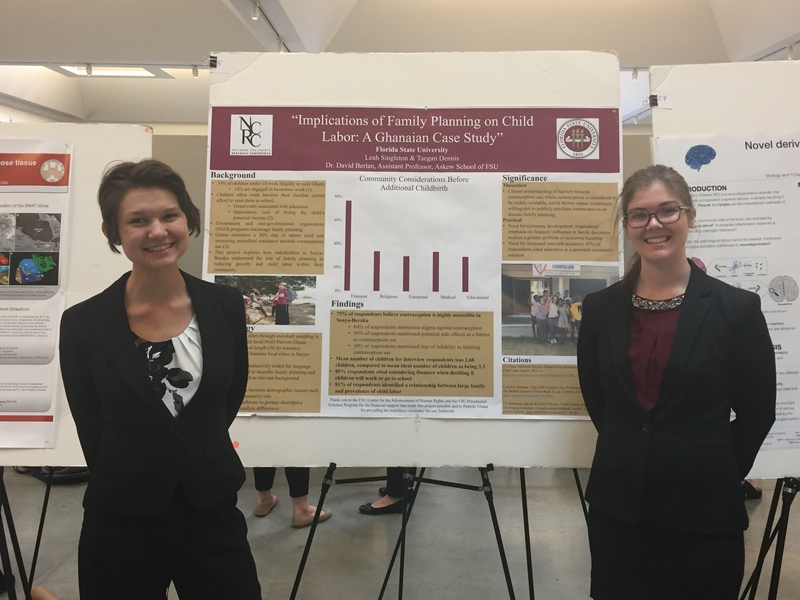 Their project explored how stakeholders in Senya-Beraku understand the role of family planning in reducing poverty and child labor within their community. 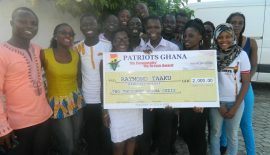 Patriots Ghana offered community volunteers who acted as translators in the target community, Senya-Beraku, Ghana. Senya Breku is one of one of the villages located in Awutu-Senya in the Central Region of Ghana. Like most of the coastal communities, Senya too is based primarily on fish and fishing. Senya, in particular, relies almost entirely on fishing. As a result, they have to find other ways to make money but none are available. Families are forced to send their children to work at the shore untangling nets, selling fish and working on the boats. The men fish while the women sell the catch in the markets in Kasoa or Accra. Recruited local elites from the Senya Beraku fishing community through snowball sampling and conducted 22 mid-length interviews (30-45 minutes). The interviewees include religious leaders, the stool elder of Senya, an assemblyman, local health workers, our National Coordinator and staff of our partner organization, Cheerful Hearts Foundation. Transcribed and inductively coded the language used by interviewees to describe family planning and child labor as well as relevant background information. Compared Codes between demographic factors such as gender and community role. SAS Software was used to portray the descriptive statistics and analyzed differences. 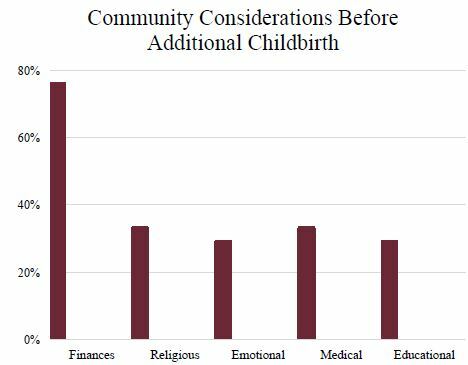 Clearer understanding of barriers towards contraception use: while contraception is considered to be widely available, social factors impair community willingness to publicly purchase contraceptives or discuss family planning. Need for increased outreach resources: 87% of respondents cited education as a potential community solution. Their study has provided Patriots Ghana an insight into some of the root causes of child labor and trafficking in the Senya-Bereku community in relation to gender roles and perspectives, religion, economic and social structures that need to be considered in addressing the problem. Aside from working on their research study, they played key roles in various activities on the project. They assisted in coordinating community meetings and child rights advocacy & awareness campaigns in schools, one-on-one tutoring for rescued child laborers, and assisted in organizing the 2017 Worlds Day Against Child labor. 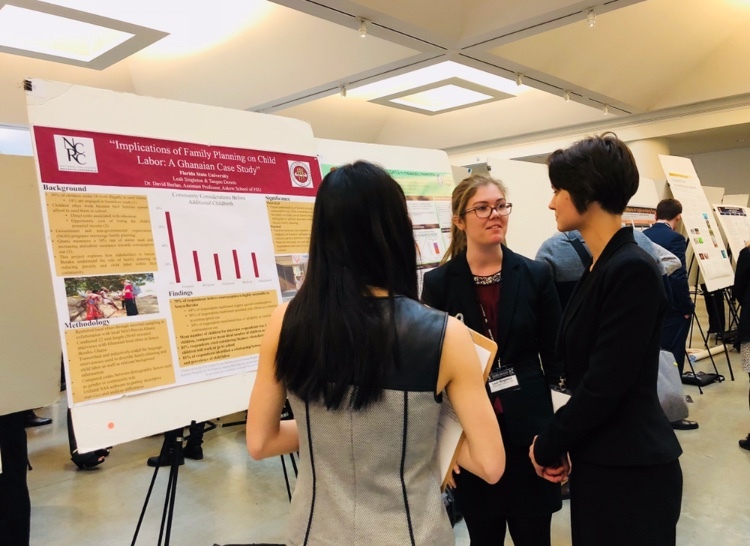 We are proud of our interns and impressed with their exceptional dedication to their research and rural community development. (2) Laird, Siobhan. “The 1998 Children’s Act: Problems of Enforcement in Ghana.” The British Journal of SocialWork 32, no. 7 (2002): 893-905. JSTOR. http://www.jstor.org/stable/2371656. (4) Singleton, Leah & Dennis, Taegan. “Implications of Family Planning on Child Labor: A Ghanaian Case Study”. NCRC Poster. 2018. Photos Credits: Singleton, Leah & Dennis, Taegan. 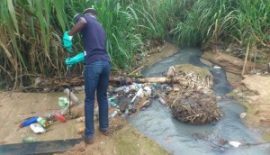 Source:Emmanuel Yamoah (National Projects Manager).